Creative and entertaining educational videos for children! Our mission at Brain Candy TV is to give your child a jump-start on their education and giving them the knowledge and confidence they need to succeed in school and in life. Creativity inspires learning. We try to make our videos unique in an engaging way to keep the active minds of children excited to learn. Connect with us on Facebook and Twitter to let us know what you and your kids want to see more of in the future. Stay tuned for future videos covering more advanced topics such as science and math! As your child matures, so will our new content. Brain Candy TV started out as a fun creative outlet for me to experiment with video production and 3D animation and over the past few years has turned into my greatest passion in life. 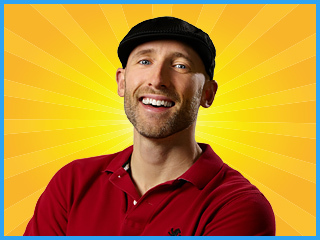 I hope you and your kids enjoy our videos half as much as I’ve enjoyed making them and I hope you’ll follow along on our journey of creating a valuable educational resource for kids around the world! Hi I’m Michael, the creator of Brain Candy TV and also your narrator. I’m a former wedding & portrait photographer with a background in multimedia design, and as of January 2016, I’m now a full-time video producer with my Brain Candy TV brand. I intend to make this project my legacy so I put everything I have into making my videos as entertaining and educational as possible, in an effort to have a valuable impact on the world and give your kids the knowledge and confidence needed to succeed in school and in life. 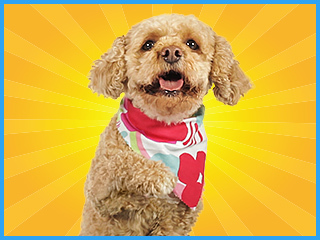 Lizzy is an 11 year-old cockapoo who loves kids and making videos. Well, she loves all of the ball playing and treats she gets in between takes anyway. 😉 I hope your kids enjoy watching her as she helps them learn their fundamentals. Be sure to check out our video “Lizzy’s Story” to learn more about her.